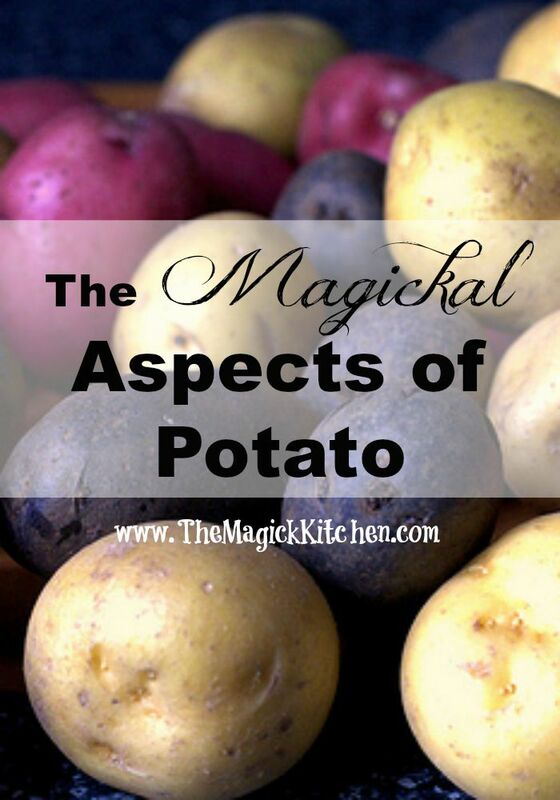 While it may seem bland and unassuming the Potato is filled with Magickal potential! Gone are the days when the dull brown russet was our only choice at the grocery store. Today we can have our pick of many different types of potato from brown to purple-black! This starchy member of the nightshade family is one of the most versatile roots available. Wild species of potato were once found throughout the Americas, and most notably cultivate in the Southern Americas and Chile. When the potato was introduced to Europe it was slow to take root among skeptical farmers, but then played a role in the population boom during the mid 19th century. It is said that the first voodoo dolls were carved from potatoes. Sam had the right idea. Potatoes are versatile and can be cooked in a variety of ways using many different techniques. Out of flour or corn starch? Use a potato to thicken your stew or sauce! Since potatoes have a mild flavor they pair nicely with most meats and other vegetables. Use aromatic herbs and spices with potato (like garlic & rosemary or chive) to give them an elegant flavor. Poppet Magick and Image Magick – Use a potato to carve the likeness related to the subject of your spell. Potato can be carried in your pocket to guard against illness. Store in a cool dry place. Do not store with onions. 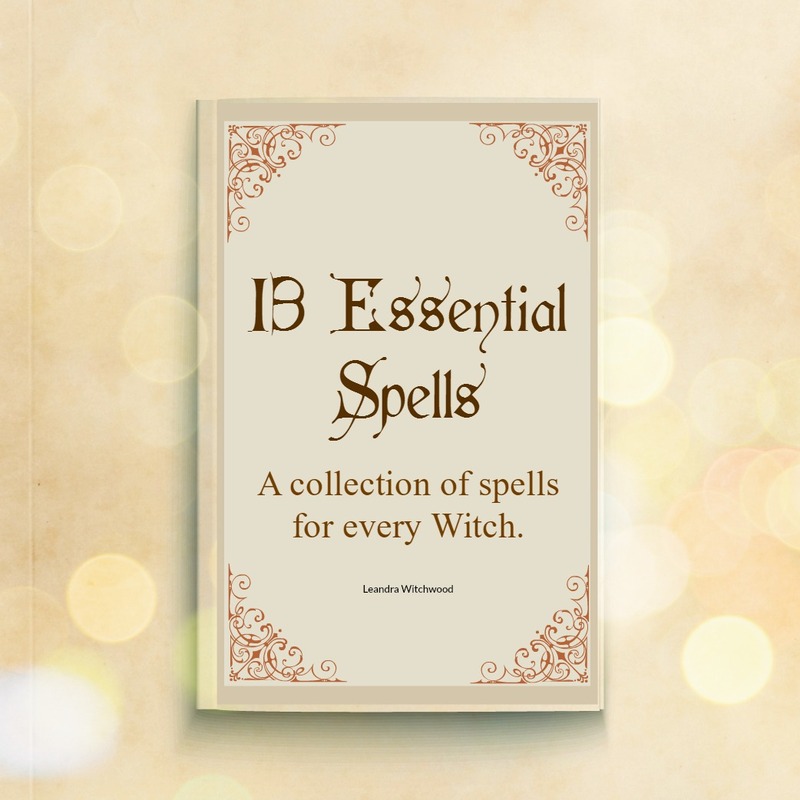 This spell work and recipe is designed to help you rid your life of someone you feel is harming you in some way shape or form. Perhaps this person is a leech constantly asking for money or draining you emotionally. Perhaps this person is a stalker or a bully. 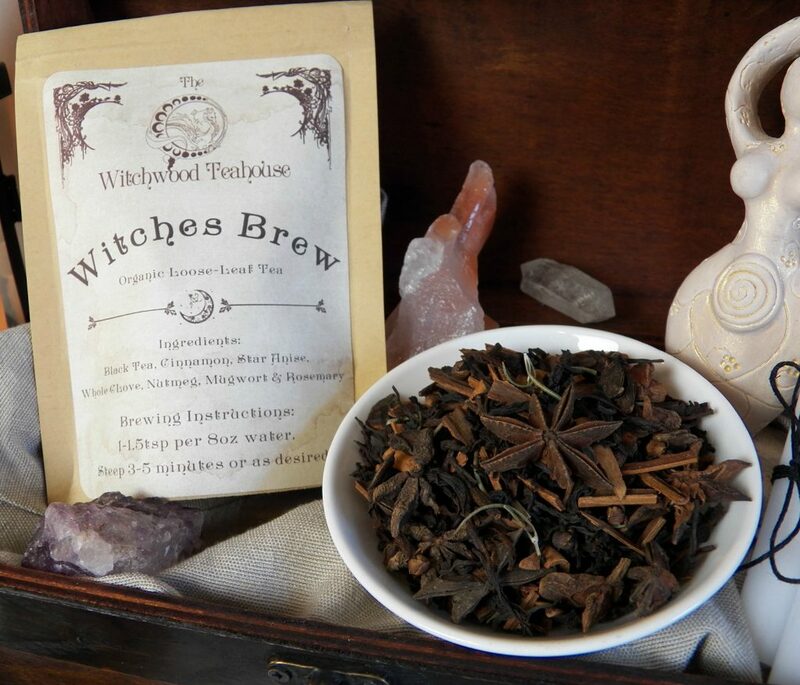 When you have a need to rid your life of someone this spell will help you do just that! 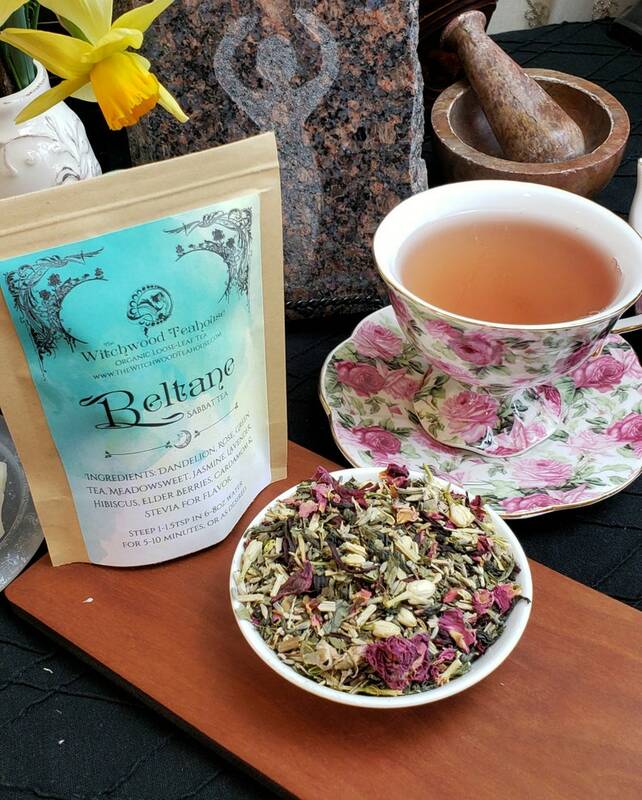 This spell work and recipe is designed to help you rid your life of someone you feel is harming you in some way shape or form. Perhaps this person is a leech constantly asking for money or draining you emotionally. Perhaps this person is a stalker, or a bully. When you have a need to rid your life of someone this spell will help you do just that! Bring a pot of salted water to a boil. Add potatoes and cook until fork tender, about 15 minutes; drain. Heat butter and milk over low heat in a small saucepan until butter is melted. Using a potato masher, slowly blend milk mixture into potatoes until desired consistency, i.e. smooth and creamy. Season with salt and pepper to taste. Before you cut all of your potatoes, take one and carefully carve it into the likeness of the person you seek to remove from your life. 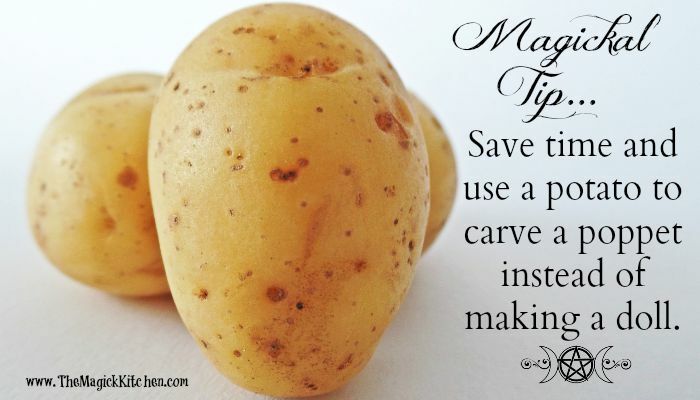 When the carving is complete, then cut the carved potato into 1" pieces just like the rest. Stir your pot counter-clockwise and envision this person removing themselves from your life. As you mash your potatoes, continue your vision of this person being removed from your life. 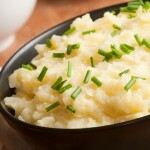 If you can get this person to eat the mashed potatoes, your spell will work more effectively. Otherwise, enjoy your potatoes and relish in the image of your life being free from this damaging person. I love to know what my readers are up to. Does it really have to be the likeness of the person or can I just carve in the name of the person? The key is to make it represent the person as closely as possible by whatever means you have available to you. Names are incredibly powerful, which is why most Witches will never reveal their true name to anyone.